This paper proposes a measurement system for grasping postures using a fisheye camera. We attached a fisheye camera to the cap of a cylindrical object, such as a jar or a bottle. The fisheye camera was used to determine the position of the fingertips in 3D via image processing. 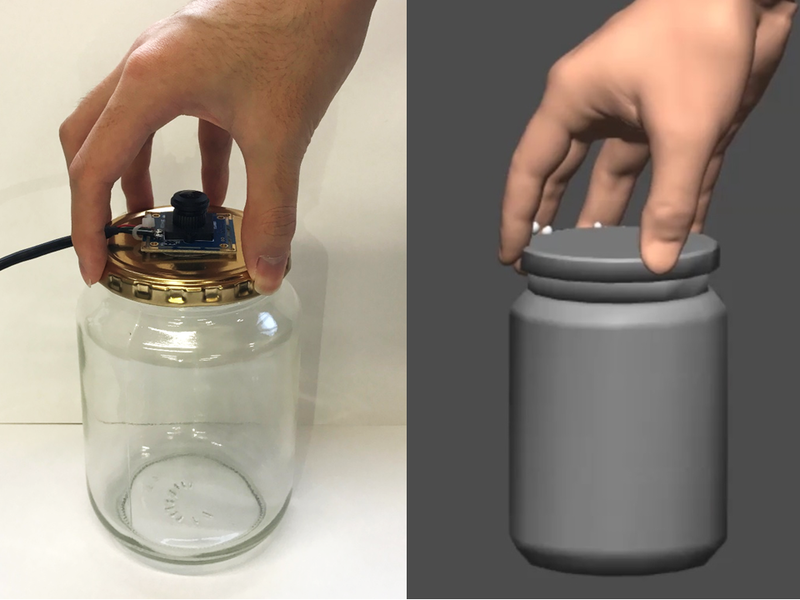 The grasping posture utilized when opening or closing a jar or a bottle was then reconstructed. If an object, a model of a hand and the grasp type are given, it is possible to estimate the grasping posture of the whole hand, even using partially captured data. Preliminary experimental results show that the system is able to reconstruct the grasping posture of various users.